It’s actually simpler to print slides without speaker notes than with them—in fact, there is only one way to print speaker notes with slides. Put in the other settings, such as which slides you want, how many copies, and so on. 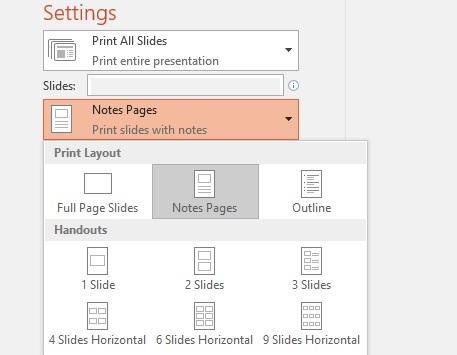 To learn more about printing PowerPoint slides, see Print a presentation in black and white or grayscale.